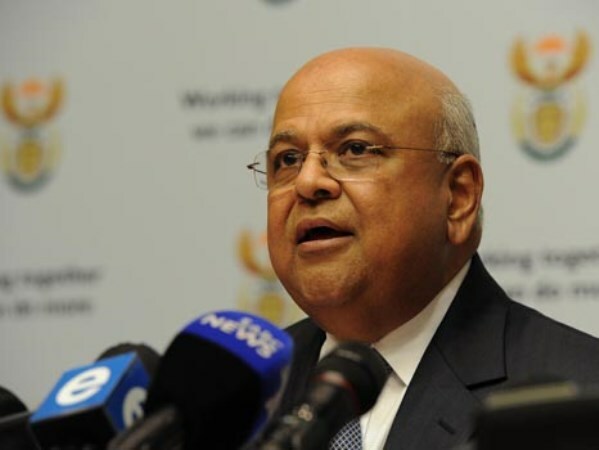 The National Prosecuting authority has dropped charges against finance minister Pravin Gordhan. NPA head Shaun Abrahams made the announcement at a lengthy media briefing on Monday morning. Abrahams said that after further investigation, he is satisfied Gordhan and his co-accused Ivan Pillay, Oupa Magashula, had no intention to act unlawfully. The move came after pressure and allegations that politics are at play in the case against Gordhan, former Sars boss Magashula and former Sars deputy commissioner Pillay. Abrahams announced on October 11 that the three have been summoned to court on fraud charges relating to Pillay's early retirement, approved by Gordhan and Magashula in 2010. However, days after the announcement, Abrahams told members of Parliament that the NPA would be willing to review the charges and invited the three to make representations. Gordhan declined the offer but Magashula and Pillay went ahead and made representations. Freedom under Law has launched a legal bid to have the charges dropped, labelling them flimsy and without bases. Other legal analysts have argued that if there was any wrongdoing it was an administrative matter rather than a criminal case. The ANC's alliance partner, the SA Communist Party, has also called for a commission of inquiry into Abrahams' fitness to hold office - saying it the charges appear to be politically motivated. They have also questioned why Abrahams spent much time talking about the investigation into the alleged Sars rogue unit the day of the initial briefing only to charge Gordhan with fraud relating to early pension pay out. Last week, more questions around the investigation arose, when a video emerged of a senior Sars official being forced by the Hawks to hand over documents linked to Gordhan's charges. Deputy director for law administration Vlok Symington allegedly accidentally received a key document linked to the fraud case. He claims he was held hostage by the Hawks' senior officials and Sars commissioner Tom Moyane's bodyguard. There has been a groundswell of support for Gordhan since the charges were announced. More than a hundred ANC veterans have released a statement backing Gordhan. The Economic Freedom Fighters have also rallied for thousands to march on Wednesday when he is due to appear in court. Gordhan has also received support from Cabinet colleagues including Deputy President Cyril Ramaphosa.